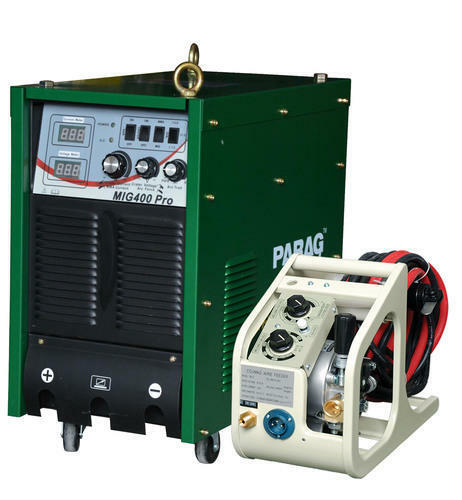 MIG 500 model can also use in ARC welding. Founded in the year 1980 at Ahmedabad (Gujarat, India), we “Parag Electrodes Agencies” are foremost trader, importer and supplier of the best class Welding Equipment, Welding Electrodes and MIG Welding Wire. Under the supervision of our Director “Mr. Ninad Mashruwala”, we have emerged as a promising company in this industry. Provided equipments are sourced from the most genuine and authentic vendors of the market. Our vendors are chosen by our procuring agents after deep market research on the basis of their production techniques, quality measure, client centric approach, financial condition, market reputation, etc. We have a team of experienced and skilful professionals who helps us to accomplish the different needs of the clients in a timely manner. Apart from this, we have become the preferred choice of the customers due to our ethical business policies, easy mode of payment, quality centric approach and reasonable rates. We are authorized trader of Riland, HiTronic, Parag Weld, etc.